NIA CHARLESTOWN NEVIS (May 31, 2018) — Hon. 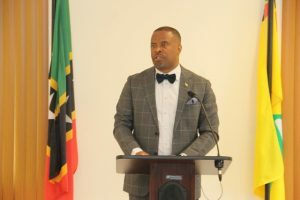 Mark Brantley, Premier of Nevis, has sent a strong message to persons who believe they have the authority to prohibit public access to any beach on Nevis. At his monthly press conference on May 29, 2018, at the Nevis Island Administration’s (NIA) Cabinet Room at Pinney’s Estate, Mr. Brantley assured the public, that although he was not aware of any property owner denying public access to beaches on the island, the administration would move to address the matter, according to the laws of St. Christopher and Nevis, if such activity is brought to its attention. “I want to make it pellucid. 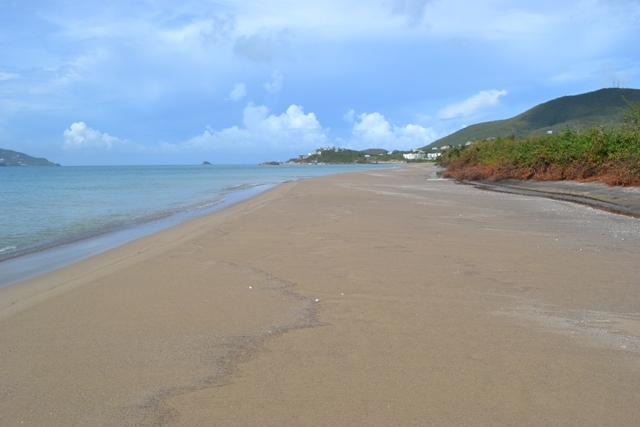 All beaches in Nevis are public by law and so, all beaches must have public access by law. There’s no if’s and’s but’s or maybe’s there is no grey area there… On the island of Nevis beaches are public and they will remain public. “The public can be assured if there is any unlawful blocking of access to our beaches those blockages will be removed but I have no specific information because nothing has been brought to my attention in relation to this,” he said. The island of Nevis is known for several pristine beaches notably Pinney’s Beach and Gallows Bay near Charlestown, Oualie Beach, Cades Bay Beach, Lovers Beach, Newcastle Beach, Herbert’s Beach and Windward Beach.